Celebrate the hysterical banter, honest attitude and flat-out hilarity that broke all the rules and changed sitcom history forever! 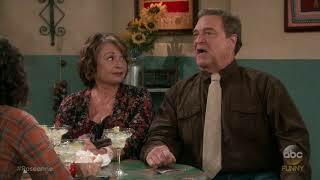 Praised by fans and critics for its realistic portrayal of the average American family, Roseanne and Dan’s unconventional parenting methods entertained millions as they navigated through the ups and downs of blue-collar life with their children – Becky, Darlene, D.J and Jerry. Wildly popular for its quick-witted comedy Roseanne also tackled controversial issues, this blend of life and laughs made the series a landmark in television history . Experience all 9 ground-breaking seasons of the Emmy© Award Winning Conner clan as they generate oodles of laugher and side-splitting comedy in this laugh-packed 27 disc collection!